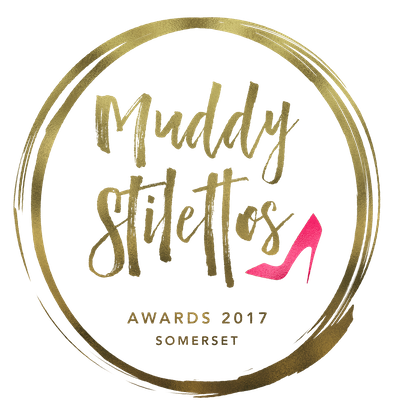 The Wellbeing Studio – Embody Pilates’ home in Clevedon – is looking for nominations in the Best Yoga/Pilates Studio category of the Muddy Stilettos Awards 2017 – Somerset. Muddy Stilettos is the UK’s leading regional lifestyle blog, with over 100,000 readers and a social following of 50,000 across 18 English counties. The blog is the ‘urban guide to the countryside’ for intelligent, fun-loving people who live outside the metropolis, but who want to be in the know for cool, quirky and unmissable things to do where they live. If you’d like to support us and nominate The Wellbeing Studio for Best Yoga/Pilates Studio in Somerset, please follow this link. Nominations close this Wednesday 24th May. The five finalists (i.e. those receiving the most nominations) for Best Yoga/Pilates Studio will be announced on the Muddy Stilettos Awards site on Wednesday 7th June, when voting will reopen for another week. The winner will be announced after voting closes again at 12pm on Wednesday 14th June. 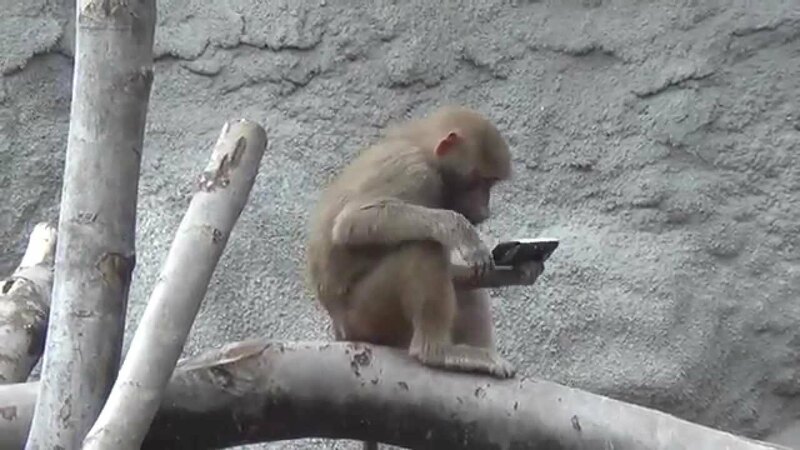 How much time do you spend looking at your phone, tablet, Kindle or some other hand-held mobile device? It’s probably more than you think. 79% of the population between 18 and 44 years of age have their mobile phones with them almost all the time, with only 2 hours of their waking day spent without their mobile to hand. 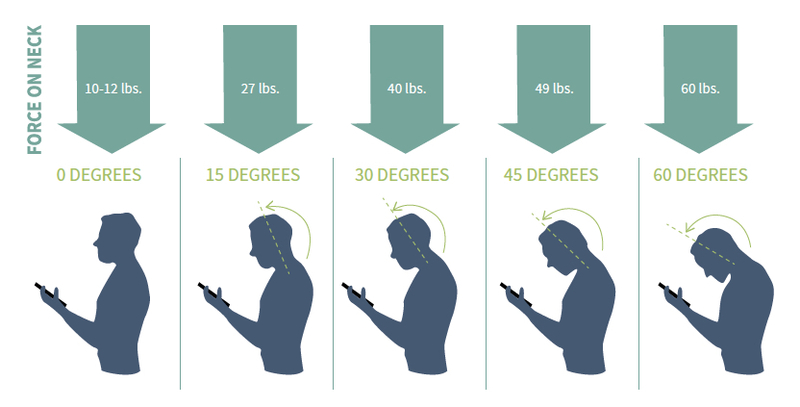 The infogram below (click on the image to view in more detail) indicates the increasing force placed on the neck from holding the head in a forwards and downward position. Most of us do this too frequently and for too long every day. Add to this the amount of time we spend with our heads pushed forward while driving or watching the television or working on the computer and you can see why the neck and upper back are so often overworked. early onset of arthritis in the neck. Yey! 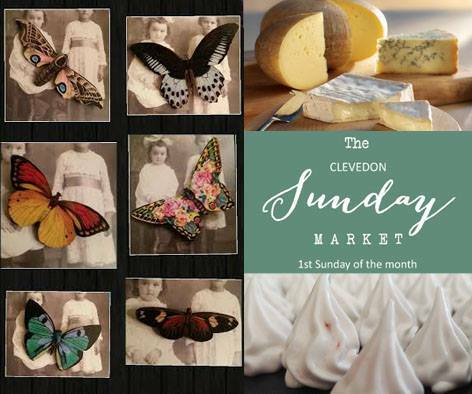 It’s the Clevedon Sunday Market this weekend with stalls celebrating locally produced food and drink, talented craft makers and vintage collectors from the South West. It takes places on the 7th May between 1000 and 1400. To coincide with the event, The Wellbeing Studio is having an open day. Based at 6 Alexandra Road, the studio is perfectly situated in the heart of the market, so as you pass between the three sites in the hill and sea area, do drop by and pay a visit. We’re opening our doors to anyone curious about The Wellbeing Studio and interested to learn more about the range of classes and treatments on offer. Join us for a chat or just bob in and have a quick nosey round the studio and the facilities. I’ll be there between 1000 and noon in case you’d like to talk to me specifically about Pilates and how it could help you. We could even try a few moves if you like.